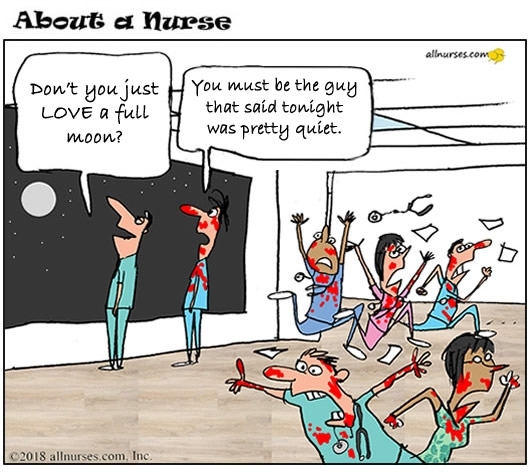 Nurses all over the world know that uttering the 'Q' word and referencing a FULL MOON during a shift can be followed by general panic and mayhem. If your shift is running smoothly, it's probably better to just shove a Snickers bar in your mouth and keep it to yourself. Have you ever regretted saying those words during your shift? No, because that would be magical thinking. I don't have that kind of power. 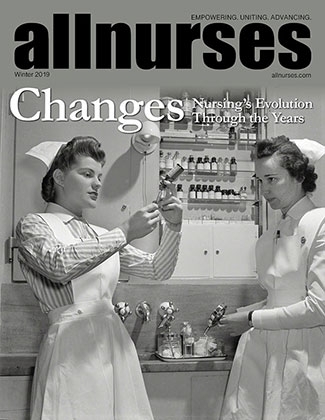 I learned early on in my med/surg CNA career that mentioning the full moon or uttering the Q word was a recipe for disaster. It was always the worst during the full-moon summer weekends...I called it "granola night" because it was full of nuts and flakes.